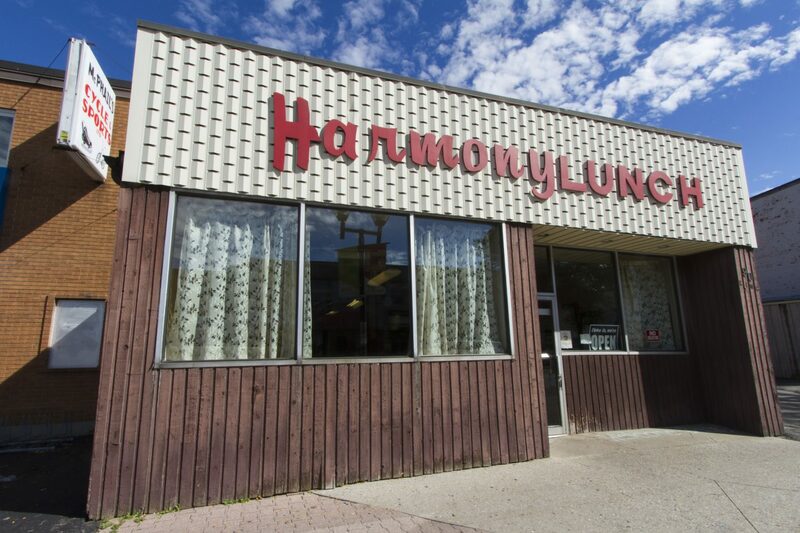 Located on King Street, a five-minute walk towards Uptown Waterloo from Wilfrid Laurier University sits Harmony Lunch, a restaurant that has been a large part of the community for 86 years. The location has been put up for sale and will be closing when the appropriate investor is found. Opened by Harry Marks in 1930, the restaurant has been operated by the Marks family ever since. Since its inception, the décor within the restaurant has remained the same, giving customers a unique experience and look into a different era. Originally the location also featured a dance hall above the restaurant, however, the hall was burned down in a fire in 1932. Luckily, the main floor of the building remained intact. The restaurant is busiest during its lunch hour when the dining area is filled with customers that have been regulars at the location for years. “Our regulars, we call them our oldies, affectionately […] a lot of them have become a big part of the family. They’re just kind of here and they’re not treated like customers anymore, most people aren’t here,” said Cheryl Marks, granddaughter of Harry Marks, about her favourite part of the restaurant. According to Cheryl, the restaurant has been a huge part of the Marks’ family’s lives. “One of my favourite memories is coming in on a Sunday when my dad would be cleaning and … the jukebox over there is the same one that I used to play. Some of the songs are actually still on there from when I was little and I’d play the songs and while he was mopping the floor and stuff and I’d dance along the couches,” said Cheryl. At the age of 83, Cheryl’s father Bruce Marks still works at the restaurant every day. “It’s been here since the depression. My dad always talks about how there weren’t that many restaurants back in the day. So this is where everyone came to gather. More like a family, community type experience,” said Cheryl. Community members value the restaurant highly, with positive reviews flowing in across the Harmony Lunch Facebook page. The reviews include stories about what the restaurant meant to members of the community. “As a child, my pops would bring me here every Saturday for breakfast. Then I’d help him around the shop for the day. Now that I’m grown up I still pop in once [in] a while for the amazing burgers and sautéed onions. I gotta say for the childhood memories and the old school style restaurant. I sure am going to miss you guys,” said one customer in a Facebook review. Known for the burger recipe created by Harry Marks, Harmony Lunch has maintained a tradition of offering homemade cooking. The menu contains items such as their homemade pies, liver and onions and more recently, chili cheese fries. Although the décor has remained the same, there have been changes in the way the business operates. “We used to keep our staff for a lot of years. We hired somebody and they stayed forever,” said Cheryl. Staff members now see more rotation as they began hiring university students who are often only in Waterloo during their university education. “One of the other things that has changed in the area is all the construction and personally I don’t like the way the city is expanding … we’ve been doing it a lot of years. It’s a good time while everyone still has their health. We’re going in a different direction,” said Cheryl, as to why they chose to close the restaurant. Although not concrete, according to Cheryl, the family has tentative plans to carry on her grandfather’s recipe. “We do appreciate our long-time customers and that they’ve been supporting us all these years. We really do,” said Cheryl. As for right now, Harmony Lunch welcomes customers and will remain open until further notice.